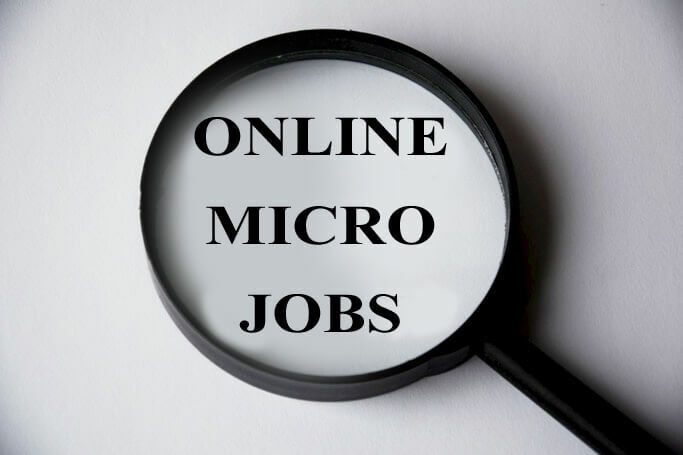 Micro jobs are the gift to online job seekers to earn money from home. Unlike some of the freelance jobs which require an extreme set of skills and knowledge to get hired by the clients and companies, the online micro jobs are the beginner-friendly work. Anyone can join the microjobs sites for free and start work immediately to make money. The online micro jobs are very simple that even a grade school student can do certain micro tasks with ease. So, if you’re the person looking out for a simple, easier yet a reliable way to make money online, then this is the article for you. Here you can learn what is microjob and how to make $20 or more per day working on the best micro job sites in the world. The online micro jobs can be done from anywhere, anytime as per the worker convenience. But unfortunately, the micro jobs can be done only using a PC, laptop or Mac and it is not possible to earn money using mobile phone. By choosing the perfect high paying micro tasks, the workers can easily make $10 within a few hours at the spare time. Micro jobs creates reliable opportunities especially for the students, housewives, work from home moms, freelancers. So, start your career on micro job sites today. Micro jobs – What it means? The Micro jobs are the part of the huge project segregated into tiny tasks. Instead of forcing the job to a single employee, the small tasks are assigned to a multiple number of workers inorder to increase the accuracy and efficiency. The Micro job sites play an important role in making this process complete. These sites help the businesses to reduce the cost, time and the hardship of hiring the professionals. And at the same time helps the freelancers to work with hundreds of clients without being a direct employee. The Microjob sites act as the connector between the worker and the employer. Also, they provide a platform for the employer to post jobs and a predesigned work area for the workers to earn money through their platform. Microjobs websites are mostly internet-based, so employers and workers all around the world get the chance to work together on various projects. While few projects require skills, the workers need to qualify in order to earn access to those tasks. The nature of tasks will vary on each micro jobs site. Before you can start your work on the Micro jobs platform, it will be better if you can understand the nature of the tasks. Here is the list of some of the tasks posted by the employers. These are the tasks available in one of the best paying micro job sites listed below. 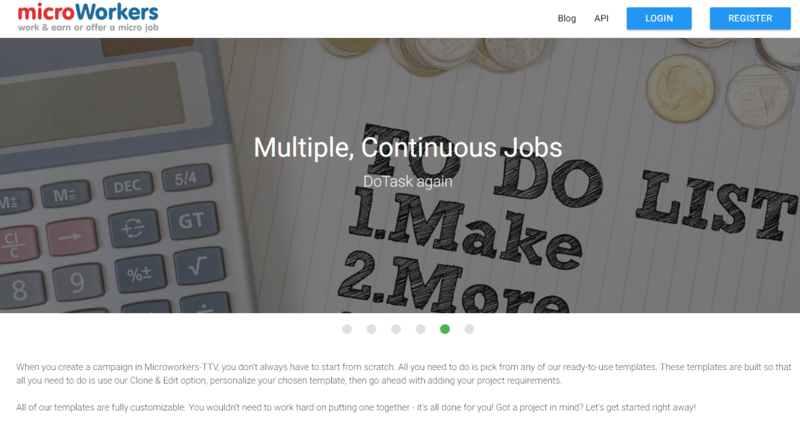 Microtasks are very simple which you can guess by looking on to the titles of the tasks. On average it takes no more than few seconds to complete the micro jobs for the experienced workers. Novice taskers might take few minutes to complete a task and within a week they will pick up the pace. Here are some of the live example(s) of the Micro jobs for you to understand the process more clearly. This is one of the simplest tasks available on the Micro jobs site. In this task, the worker has to carefully analyze two given images and give a brief description of the difference between the element specified in the image(s). In this case, the Employer has asked the worker to find the difference between the clothes worn by two models. Similarly, there will be several tasks related to finding the difference between two images. Though this task looks very simple, most of the workers might not read the requirements properly. What they want to do is complete the task ASAP to move on to the next task. The blender mistake the workers make is instead of describing the clothes, they will describe the models. So, when the workers don’t follow the rules properly their accuracy rating will reduce eventually, the access to the potential tasks will be denied. So, if you want to be a successful freelancer doing Micro jobs, the first rule is concentration. Don’t even miss the single line on the Microtask board before proceeding to work on the task. Most of the tasks will be simple but missing one instruction might completely change the theme of the task. Most simplest task to see, but needs good attention to do it. There are several categories available in this kind of task basically dealing with the authors of the article, web magazines and blog posts. Here is the list of tasks relevant to finding authors – ‘Find whether this article has an author’, ‘Find the name of the author the article’, ‘Find the number of authors’, ‘Find if this webpage contains the article or not’ etc. Most of the author tasks will be like answering Yes or No to the question. In the case of Micro task mentioned above, the worker has to click the link which will lead to a website. The worker must carefully scan the full page and find if the content has authors and the number of authors involved in creating content. Then the worker must select the right choice given to complete the task. One job might contain multiple tasks leading workers to different websites. Usually, these are basic tasks for the starters to get practice. Advanced taskers won’t mind such tasks. This is the microtask for the social media freaks who knows the nook and corner about social media. The tasks will be like ‘Categorising the tweets’, ‘Find the Twitter profile’, ‘Spotting business on LinkedIn’, ‘Deducting the business profiles’, ‘Analysing the SERP’, ‘YouTube videos’, ‘Finding violation content in the page’ etc. Usually, the Micro jobs related to the Social Media will be made available for the workers who have certain accuracy with minimum number tasks completed to qualify. Social media tasks are very interesting, time pass and at the same time high paying. Data entry jobs are the favorite for online job seekers. So, be advised that Micro job sites are the great source for finding data entry work. In general, data entry is the process of digitalization i.e. entering the data given in the physical paper into the computer. Other than digitization, data processing, format conversion, accounting are also the part of data entry work. One-fourth of the microtasks one the Micro jobs site will be related to the data entry work. 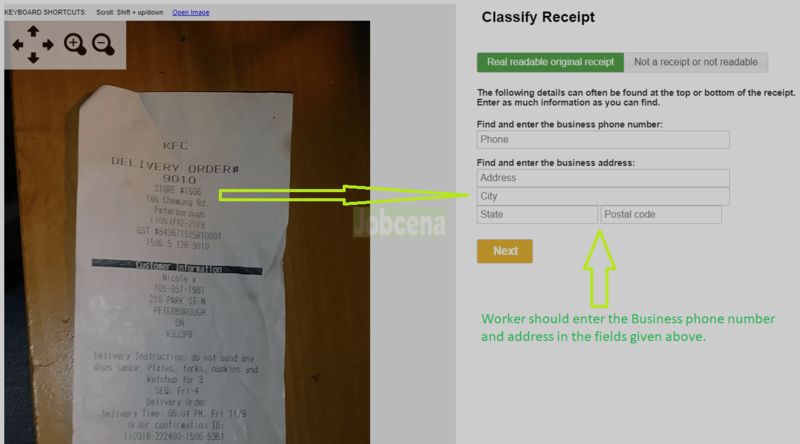 In the example mentioned above, the Employer has given a photo of a bill and fields to enter the data. To complete this task, the worker has to identify the phone number and address given in the photo and enter it in the given fields. If the receipt is unreadable, the worker can skip the task right away. Data entry micro jobs require good accuracy to qualify. Jobs under data processing categories are average paying and monotonous. A lot of translation jobs are posted by employers all around the world as Microtasks. Translation is the process of converting the source from one language to another language. It can be a document, article, audio or some that that has to be translated. If you know multiple languages, make use of the translation based micro tasks to earn more. With English as the primary language in most of the micro jobs websites translation tasks are available for the European languages like Spanish, French, German, Polish, Portuguese etc and Asian languages Tamil, Chinese, Sanskrit, Japanese, Russian, Korean etc. Translation microtasks are high paying tasks. Transcription is another important high paying task available on the micro job sites. The process of converting the audio to text document is called transcription. The employer will provide audio that has to be transcribed. The worker must hear the audio and convert it into text or written form. Legal transcription, Medical transcriptors earn $50 or more per day. The tasks based on the images can be efficiently processed by a human than the computers. For example, computers cannot read the text on the image and cannot identify the objects that appear upon the image. The best examples are captchas, to prevent automatic bots from accessing the websites, webmasters use captchas. In basic captchas prove humanity asking the person has to enter the text appear on the image in the text box. Captcha entry work is also related to these microjobs. A lot of tasks are posted related to image processing on the micro jobs sites. Image processing work is easier and interesting. While the paid survey sites are the best place to earn money taking surveys, the micro jobs sites also have paid survey tasks. Get access to market research studies to earn money by completing surveys on these sites. The surveys are conducted to research the user’s views about products and services. To take the survey and get paid to complete, the worker must answer the set of questions. Paid surveys are the easiest task to earn money by choosing the best answer(s). These are the part of simple tasks available in some of the micro job sites listed below. The worker must rate, review or comment on a product, service or article to get paid. A very easy task that can be done by anyone with basic writing skills. Native workers are preferred by the employers for doing these tasks. Hope, now you would have got an idea about tasks and how to work on the sites. Here is the list of best paying Microjobs sites. Each site has it’s own features, read the review of these Microjob sites and choose the best one that fit your needs. The Amazon Mechanical Turk is the best Micro jobs site in the world run by the biggest e-commerce company Amazon. Shortly called as MTurk, it is the home to millions of workers around the world. Launched in 2005, Mturk is the largest marketplace to connect the developers to human intelligence. Amazon MTurk believes that human intelligence is still the best in processing certain data compared to the artificial intelligence. So, they have developed an automatic platform where companies can programmatically access the marketplace to hire workers. The Microtasks posted on Amazon MTurk are called HIT. The HIT refers to Human intelligence tasks. To earn money on Amazon Mechanical Turk, the workers have to complete the HITs posted by the employers. Initially, only the basic HITs will be available for the beginners. The workers have to complete the HIT with good accuracy to gain access to the high paying disabled tasks. The rate per task completion starts at $0.01 and increases to dollars based on the complexity of the task. Once approved by Amazon MTurk, workers can start their work right away. The worker must browse the jobs available on MTurk. Initially, 95% of potential tasks will be in disabled mode. Choose the available job by clicking “Accept & Work”. Then read the instructions given carefully and the maximum time given to complete the task. Hit accept, complete the task with good accuracy to get paid. Continue to complete the tasks to unlock the high paying tasks. Sites like MTurk don’t have any terms of working time. Enter the dashboard whenever you’re free, complete HITs to earn money. Amazon MTurk masters earn four figure income every month working as a full-time employee. It might take a few months for the beginners to join the masters’ club. Unfortunately, MTurk is available only for workers from certain countries. Supported countries list covers almost all the countries from North America & South America, Europe, Developed countries from Asia and APAC, countable countries from the African continent. To become a worker you must apply for an account with authentic details. They will send a mail if your account is approved. Click the button below to learn more about working on Amazon MTurk. While US workers can transfer their earnings to Amazon payments account or Amazon.com gift card, workers outside the US can transfer their earnings to Amazon.com gift card balance and some workers are eligible to transfer their money directly to their bank account. Figure Eight is an elite micro jobs website available for members all around the world. The company was founded in 2007 at San Fransisco, USA. Figure Eight is the crowdsourcing platform delivers workforce to the companies who are in need of human intelligence. They work on training the machine algorithm using human intelligence to improve artificial intelligence technology. Figure Eight provides micro jobs to millions of workers directly and through elite channels. Earn money in Figure doing simple tasks like transcribing, data entry, image processing, violation spotting, marking objects on image, social media tasks, comparing products, analyzing content, error spotting, translation, data verification, finding business info, rating & reviews, copy paste jobs, matching data, etc. Tasks pay from $0.01 to a few dollars upon completion. Figure Eight has three level of tasks for the workers. Based on the accuracy the worker will be given access to high-level tasks. The beginners should work on non-level tasks and complete a minimum of 10 tasks with 70% accuracy to get access to level 1 tasks. It goes on up to level 3. The worker must maintain the accuracy to stay at the same level. Figure Eight is available through elite channels and it is advised to work through channels instead of working directly on Figure Eight platform. Because elite channels pay additional bonus for completing the tasks. Also, the top workers get $200 weekly bonus in total. And apart from these, you can earn money by completing surveys & offers so that the earnings can be withdrawn quickly. Figure Eight pay through PayPal. Get access to additional payment options like Payoneer, Skrill, check, gift cards working on the elite channel. If you’re interested to work, read how to work on Figure Eight tasks to earn maximum. Clickworker was launched in 2010, a revolutionary self-service marketplace. Now Clickworker continues to grow with over one million Clickworkers already working in part-time. The freelance workers registered to Clickworker.com are called the Clickworkers. Anyone who has basic knowledge of using the web browser and following the instructions given by the employer are eligible to work on Clickworker. ClickWorker is free and simple micro job site that job seekers should definitely try to make money. The primary categories of Clickworker jobs are Data categorization, translation, copy editing, text creation, data entry, proofreading, web research, surveys, mystery photography, language tasks, and app testing. The tasks available in the Clickworker pool are made easier for beginners. Clickworkers are advised to take initial assessments to gain experience and get access to the paying tasks. 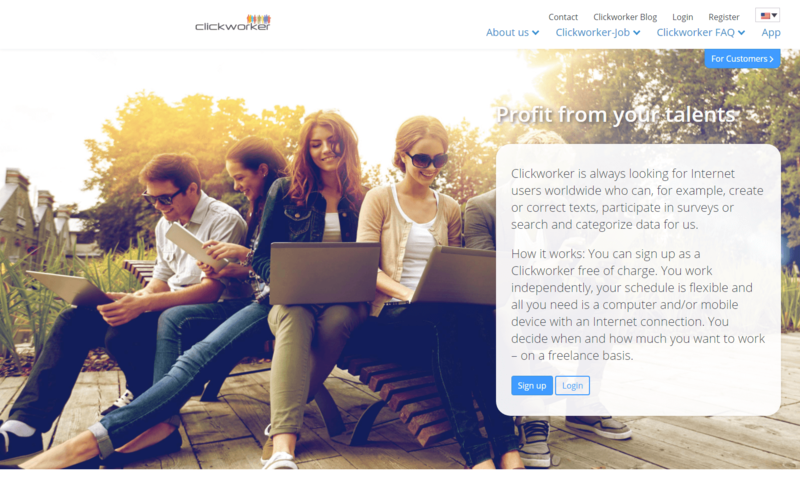 Clickworker is the best paying micro jobs website to find online work in your native language. It’s not mandatory to know English to work on Clickworker. Clickworkers who have multi-language skills will get more micro jobs assigned to their account. The first thing Clickworker must do is complete his/her profile. The profile is considered very important since the Clickworker will programmatically assign the task to Clickworkers based on their profile. After completing the profile, work from home or anywhere at your own convenient timing. Let the Clickworker take care of the backend process to help you to make the most out of their program. The best feature in Clickworker is that the workers can install their app in Android or iPhone to earn money directly working on the smartphone. Clickworker boasts that their regular workers earn $9 to $10 per hour on average which is really impressive compared to micro sites like MTurk. Get paid through PayPal or bank account via SEPA. Fiverr is the world’s best freelance site helps the freelancers to sell their skills for money. The sites like Amazon MTurk and Figure Eight are just the platform to work like a labor. You cannot improve your skills or you won’t gain experience working on those sites. As long as you work you can earn money. But, Fiverr is something different. It will bring meaning to your work by helping you to setup your own homebased business. So, what should you do to earn money on Fiverr? To work on Fiverr you must have some well-defined skills. 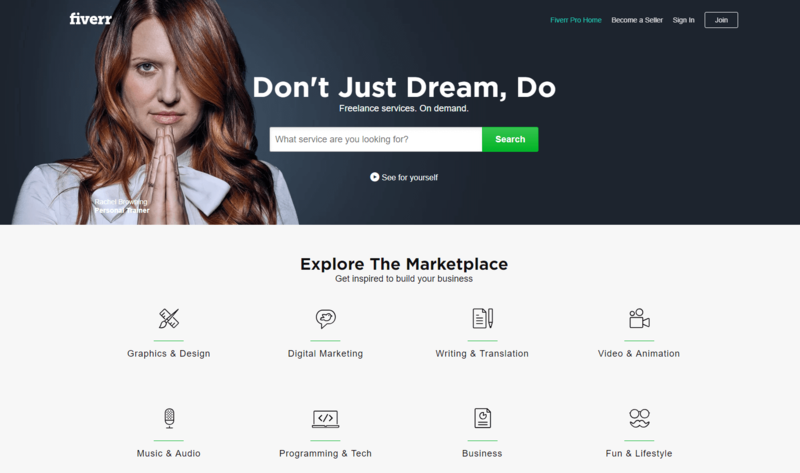 Here are some of the example of the simple tasks workers/sellers do on Fiverr – Create logos, banners, write content, optimization services, testing, reviewing, data entry, create music, marketing, animation videos, career guiding and more. If you think you’ve got some skills or got a source to sell services, join Fiverr on next thought. Fiverr helps the sellers to earn a minimum of $5 per task completion and it keeps on increasing based on the service provided. The bright side of Fiverr is that freelancers are allowed to set their own prices for their services. Freelancers will have a full control over their profile. The downside of Fiverr is competition. Due to the heavy competition out there only the best can survive there. But, get into it to work hard, work more and earn more. Fiverr users earn a six-figure income working as the freelancers. Fiverr pay the users through PayPal. Get started with Fiverr today as a freelancer! MicroWorkers is the innovative, international micro jobs platform that connects the workers and employers around the world. Their platform ensures that the employers get high-quality results for the tasks and the workers get paid for their hard work. Working on MicroWorkers is fun and dependable. The micro jobs posted by employers are very simple that it can be completed within a few minutes. 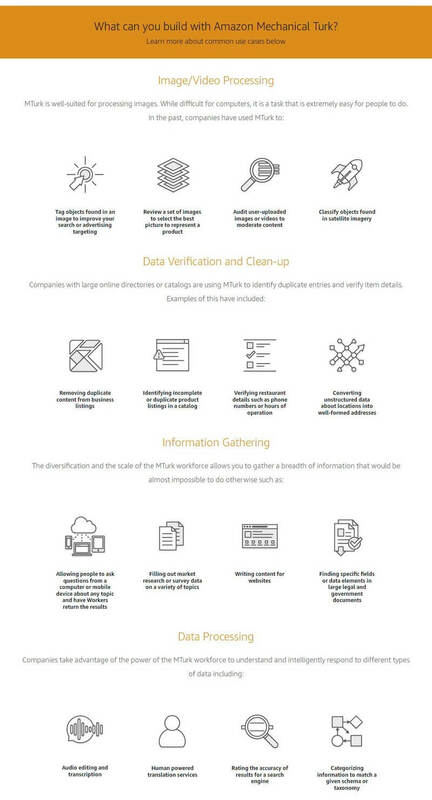 The tasks include data entry, data categorization, opt-in tasks, commenting, data tagging, surveys, transcription, data mining, content comparison, event sequencing, app testing, research studies, content evaluation, image verification, image annotation, content moderation, translation, violation spotting, game assessment, quality rating, image moderation, choosing preferred designs, text validation, message labelling and hundreds more. Unlike the micro jobs sites mentioned above which require the workers to pass the assessments, MicroWorkers can start the work right away. To earn money on MicroWorkers, the worker must click the task link to browse the available jobs, then the worker must accept the micro job, complete it to get paid. The workers must maintain a healthy success rate of 75% or more to continue performing jobs. As said earlier, Microworkers is available for the US and international members. You should be able to prove your true identity by verifying the PIN. If you cannot receive a postal letter to your address or use Dwolla/bank transfer to withdraw your earnings, do not join Microworkers since only verified workers will be paid. Workers can request for payment with minimum $9 account balance through PayPal, Skrill, Transpay, Dwolla, and Payoneer. 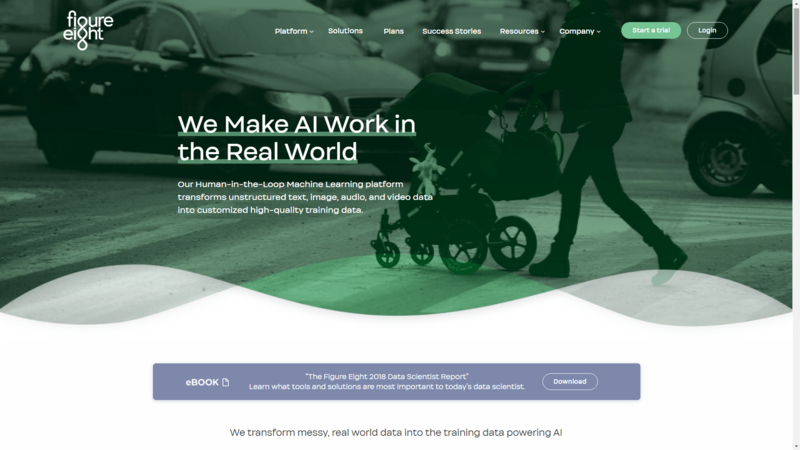 The Remotasks is operated by Scale Labs LLC based on San Fransisco, USA. Remotasks is open for internet users around the world to make money doing tasks. Remotasks is a bit professional site like Figure Eight working with leading companies around the world. Start an account within a second connecting Facebook account to Remotasks. The tasks posted on Remotasks are easier but need concentration to complete those with expected accuracy. Here are some of the microtasks available on Remotasks – Drawing boxes around the objects in the image, moderating content, deducting spam, categorizing images, transcription, data collection. The new taskers must complete the exams in order to access the paying tasks. The tutorial section will assist you with example tasks. So, it’s not too hard to pass the exams. Also, be advised that top scalers get a chance to become the reviewer on Remotasks. Reviewer can earn more money reviewing the work of other taskers. Remotasks will automatically notify the woker regarding the upgrade. 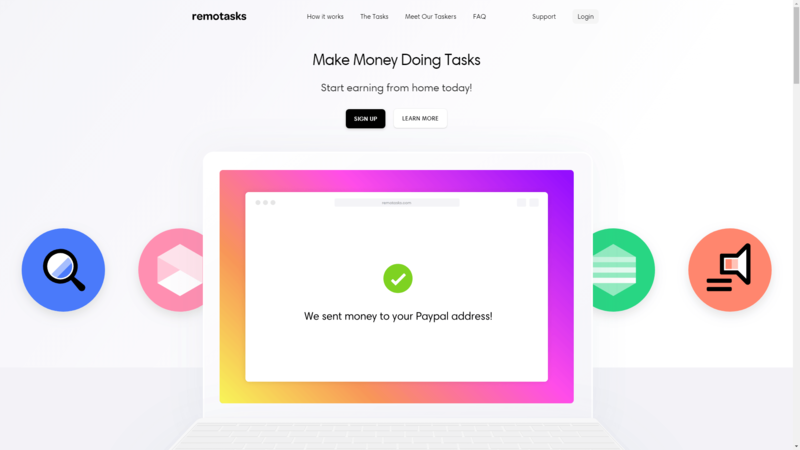 Remotasks pay the users through PayPal once per week. There is no minimum payout threshold, so if you earn few cents this week find it in your PayPal account the next week. Remotasks is definitely a potential micro jobs website. Micro jobs are the legit money making opportunities available on the internet. Workers require no qualifications to join the site which provides micro jobs. Simple tasks, take minutes to complete. Work from home or anywhere at your own convenient timing. Few sites pay referral commission for referring workers. Diverse payment options from PayPal, direct bank deposits, Amazon gift cards and more. Earn money directly working on your smartphone using Clickworker mobile app. Only online job to do without English knowledge on third party programs. Best online job for students, work from home housewives. One of the few legitimate online jobs that accept workers from all around the world. Micro-tasks won’t help to improve your career. Work and earn money like a labor. Availability of tasks is a great concern in many sites except MTurk. Many workers fail to manage the accuracy level which will result in account termination. It’s impossible to work anonymously like we can do it on paid to click sites. Only less than 5% of micro workers earn a reliable income to make their daily life. This is all you have to know about micro jobs and sites that pay for doing microtasks. Feel free to leave your comments and queries below.